This Model A is pictured hitched to a John Deere Model 52 “rope trip” 2 bottom trailer plow with optional rubber tires on steel rims. 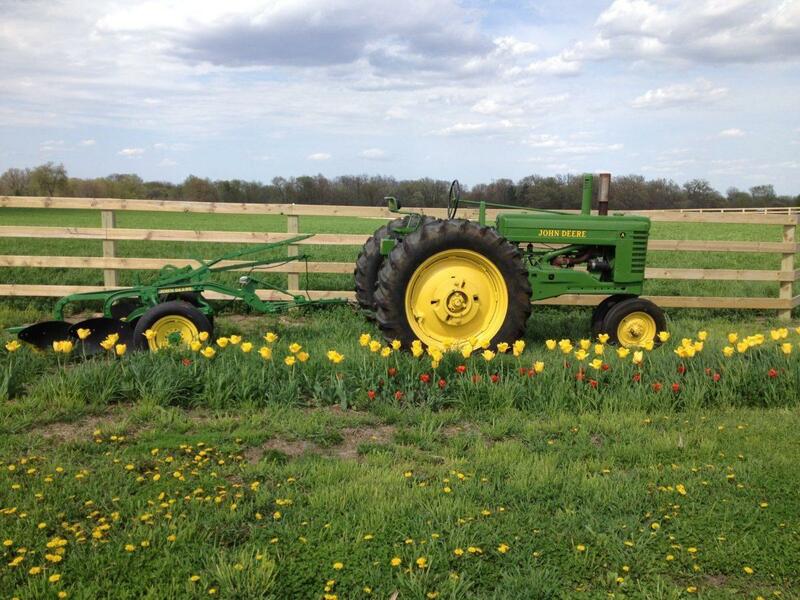 The year 1940 marked the beginning of two changes meant to improve the functionality of the John Deere Model A. During this time, the size of the engine was increased from 309 cubic inches to 321 cubic inches in an effort to make it more powerful. One year later, in 1941, the Model A boasted a new transmission, and it went from four forward speeds to six. The “slant dash” Model A tractor was produced between 1939 and 1947, and it featured an electric start option in which a special hood piece was used to cover the battery. By 1947, the battery was moved under the seat. In 1952, the production of the John Deere Model A finally came to an end, marking an impressive nearly 20-year manufacturing lifetime. The John Deere Model A Tractor was a revolutionary tractor, spawning an entire line of two-cylinder tractors that included the B, G, L, LA, H, and M. Today, these tractors are collected rather than used, which is a credit to not only their reliability at the time they were used, but also to how they are still revered by John Deere collectors and enthusiasts.